A proposed state assembly measure would give landlords the authority to ban tenants from smoking medical marijuana inside their residences. The measure was introduced by Assemblyman Jim Wood, the Democrat from Heraldsburg who pointed to a study by the University of California San Francisco indicating secondhand smoke from marijuana could result in damage to the cardiovascular system, similar to what has been identified with tobacco. Although landlords already have the authority to prohibit smoking cigarettes or other tobacco products on their properties, this development is troubling for the fact that it involves medicine. Tobacco is not typically used for its medicinal properties. In fact, it has proven a massive public health threat. On the other hand, despite the fact marijuana is considered a Schedule I narcotic by the federal government, it has many known medicinal benefits. Still, Wood called the smoking of the drug a “nuisance.” He said those who live in multifamily units should not be exposed to unwanted or toxic secondhand smoke. Tenants would still be free to consume the drug in edible, pill or liquid form. The concern is the health risk the smoke causes to third parties. 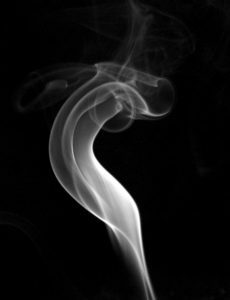 It is known that secondhand tobacco smoke can be harmful to those nearby who breathe it in. Researchers at the UCSF Division of Cardiology say that dangerous chemicals are created any time dried plant material is burned. The effect of that on humans, researchers say, is that arteries may be impeded from carrying an adequate level of blood to the body systems. Worse, marijuana may have longer-lasting effects than even tobacco. The landlord-tenant relationship can be a tenuous one as far as marijuana is concerned. Landlords are generally allowed to evict tenants for engaging in illegal activity on site. Obviously in states where all marijuana is illegal, landlords have a great deal of power in these situations. But even in states like California that allow medical marijuana or others where recreational marijuana is allowed, landlords may still have the upper hand. That’s because cultivation/ possession/ use of marijuana remains a crime under federal law. Until that changes, landlords have the ability to write prohibition of the drug into the lease – regardless of what one’s prescription says. Some landlords have been cautious about implementing these rules with regard to medical marijuana patients because they may fear an anti-discrimination lawsuit. But again, as long as the drug remains illegal at the federal level, cases accusing landlords of failure to provide reasonable accommodation for those with disability may not get far. This is especially true for taxpayer-subsidized housing, such as Section 8. The same sort of principle would apply to marijuana cultivation on rented property. Beyond that, enforcement of such rules will largely depend on the language contained in the lease. Generally, leases cannot be re-written mid-term. So if there isn’t a “No Smoking” clause already in the lease and this proposal becomes law, landlords may have a tough time initiating such a rule for those already living there. However, new leases could easily be subject to new rules. The bill, AB 2300, was approved by the Assembly by a vote of 74-0 and will now be subject to scrutiny by the state senate. Tagged: California marijuana lawyer, marijuana attorney California and marijuana lawyer L.A.